By all measures, McDonald is a prolific performer. Though just a few years out of her doctoral studies, the early career researcher has already procured a number of competitive grants, fellowships and scholarships, as well as a publication catalogue worthy of senior academics. She's also achieved marked success closer to home, winning the Vice-Chancellor's Researcher of the Year Award for 2014. For a long time however, this wasn't the plan. McDonald took an unusual academic pathway to get to where she is at the Hunter Medical Research Institute, spending years as a clinical nurse consultant in respiratory medicine before deciding to undertake a PhD in the late 2000s. 'It was this first role that inspired the second one,' she reveals. Still working clinically to 'maintain creativity and currency in terms of generating research ideas,' the esteemed educator and investigator is a master of many trades. She's working with and for patients suffering from complex respiratory conditions in all of these endeavours, focusing principally on chronic obstructive pulmonary disease (COPD), and the overlap of asthma and COPD in older populations, and bronchiectasis. McDonald is also especially interested in advancing care options for those with severe asthma. There's a small group of patients with severe asthma who are refractory to treatment – we can throw as much traditional asthma medication at them as we like, but they're not going to respond. McDonald is examining respiratory problems from multiple perspectives in her research, concentrating on the pathophysiological components, functional and psychosocial needs of individual patients. This inventive quadrant approach, which encompasses comorbidity, risk factors, self-management and management of the airways, similarly serves to improve outcomes and help translate findings into scalable and fundable practice. 'Most clinical trials tend to recruit people with pure asthma for asthma studies, and pure COPD for COPD studies, but in the real world when we sit down with a patient, often their diagnosis is impure,' she explains. McDonald characterised asthma and COPD overlap in the older person during her PhD candidature, focusing on the 'usually excluded' population with support from a National Health and Medical Research Council Centre for Respiratory and Sleep Medicine Scholarship. This research area involved collecting data from several sources to inform an intervention for a randomised control trial. 'I undertook qualitative analyses to develop insight into patient needs and healthcare experiences, as well as a cross-sectional study to understand what the population looks like,' she states. This multidimensional assessment and individualised management study delivered targeted treatments to the individual problems identified, including inflammatory phenotypes, comorbidities and risk factors. 'For example if participants had airway inflammation, the pharmacotherapy was individualised to that phenotype,' she advises. With results deemed 'quite outstanding' in terms of their impact on health status, McDonald's PhD was published in a top respiratory journal, Thorax, in early 2013. 'The findings demonstrated an improvement in health status that were three times the minimally clinically important difference,' she asserts. The principal researcher in the University of Newcastle's Priority Research Centre for Asthma and Respiratory Disease has since followed up on this research, undertaking new studies to see whether the model is transferrable to a 'generally younger' severe asthma population. McDonald is continuing to develop a large and impressive body of work out of her PhD thesis. She's the current recipient of the Lung Foundation of Australia's Research Fellowship, awarded annually to one academic from any medical, scientific or allied health background, and is currently using it to fund a study on medication options for patients with COPD. 'We are examining the inflammatory phenotypes of individual patients and targeting pharmacotherapy to these processes,' she clarifies. The co-convenor of the Thoracic Society Australia and New Zealand Special Interest Group has devised a randomised control trial to test this approach, with the intervention group receiving active drugs to match their number of inflammatory phenotypes, and the control group receiving a placebo. Having established a national profile and an emerging international profile, McDonald is also evaluating the health status assessment of COPD patients with St George's London Hospital Professor of Medicine, Paul Jones. In another offshoot of her PhD, McDonald is undertaking evaluations of a weight loss trial in COPD patients. 'We know that obesity has deleterious health effects, but there's an interesting paradox that exists in COPD where obese patients have better survival than those who are normal or underweight or even just a little overweight,' she discloses. Coupled with a resistance-training program, the weight loss intervention was found to be successful in both achieving weight loss and maintaining muscle mass. It also resulted in improvements in health status, lung function and ability to carry out daily tasks. 'This pilot study is a proof of concept,' she explains. The energetic academic is simultaneously involved in several current and interdisciplinary collaborations. She's working on a national University of Adelaide-led study on opioids and their potential to improving the exercise capacity of COPD patients within pulmonary rehabilitation programs, and with Laureate Professor Rob Sanson-Fisher from Public Health on a grant for a COPD self-management intervention using online tools. Observing 'limited evidence' for COPD treatment guidelines and recommendations for the management of comorbidity, McDonald is also supervising a PhD student to better understand the disease and its comorbidities. 'There's a whole gamut – obesity, anxiety and depression, skeletal muscle dysfunction, and cardiovascular disease,' she declares. Juggling many projects at once, McDonald and her colleagues are developing a new research area with another PhD student. This time around, the team is exploring sedentary behaviours in people with severe asthma and bronchiectasis. McDonald is in the process of recruiting patients for the study, which aims to get snapshots of severe asthma and bronchiectasis by 'objectively measuring' how much sufferers exercise throughout the day and how much of the time they are sedentary. The Australian Pulmonary Rehab Guidelines Committee member will then relate data collected from the individual activity monitors to disease phenotypes and outcomes, such as inflammation and health status. Recognising the futility of applying general population interventions to people with bronchiectasis and severe asthma, McDonald's team will use all of this information to develop and trial a tailor-made behavioural change intervention. Similarly recognising the futility of only undertaking short-term research in this field, McDonald is leading a longitudinal study of patients with bronchiectasis. 'There are few long-term data of this population and determinants of decline,' she admits. More recently, McDonald was part of the team that received a $2.5 million National Health and Medical Research Council grant to establish a Centre of Research Excellence in Severe Asthma. It's part of a collaboration led by Professor Peter Gibson involving national researchers from Brisbane, Sydney, Melbourne, and Perth. 'We will seek to improve knowledge of severe asthma and its management and focus on training a new group of severe asthma researchers,' she conveys. Professor Vanessa McDonald is co-director of the NHMRC CRE in Severe Asthma, deputy director and research leader in the Priority Research Centre for Healthy Lungs and an academic clinician in the Department of Respiratory and Sleep Medicine. She also leads the Chronic Disease and Older Person Research group within the School of Nursing and Midwifery. Professor McDonald joined the University of Newcastle in 2011, following the completion of her PhD. 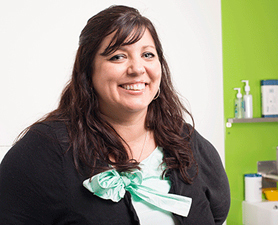 Prior to this, she worked clinically within the Hunter New England Local Health District as a Respiratory Clinical Nurse Consultant. She has been a nurse for over 20 years and it is her clinical background and experience that drives her innovation in research. Vanessa’s research programme is centred around the development of innovative approaches to the management of chronic diseases. Her translational research programme links biomedicine, clinical effectiveness and health policy development. At 6 years post-doctoral, Professor Vanessa McDonald has established a productive track record publishing over 80 peer reviewed journal articles. Her work is published in high impact journals including the Lancet, the AJRCCM, Thorax and the Eur Resp J. Complimenting her publication catalogue is a suite of other outputs. She has authored 7 book chapters, 5 separate national clinical practice guidelines for asthma and COPD, national reports, multimedia resources, and national patient education publications. © 2014 by Taylor & Francis Group, LLC. We have presented Lucy, a 42-year-old female with asthma, who was recently admitted to hospital with an acute exacerbation of her asthma. Currently, she has ongoing poor symptom control despite being prescribed a combination high-dose ICS/LABA. An assessment of her asthma management skills and knowledge indicates that there are a number of areas that require addressing. Asthma education will be integral to Lucy¿s management of her asthma. © Author(s) (or their employer(s)) 2019. No commercial re-use. See rights and permissions. Published by BMJ. Introduction: The evidence that teaching self-management techniques to children and young people with asthma in schools is effective has not, to date, been the subject of systematic review. Methods: We conducted a systematic review of intervention studies. Studies were eligible if they employed a randomised parallel-group design and were published in English from 1995 onwards. Participants included children with asthma aged 5-18 years who participated within their own school environment. Searches were conducted on the Cochrane Airways Group Specialised Register. Quantitative data were combined using random-effects meta-analyses. Results: Thirty-three outcome evaluation studies were included. School-based interventions were effective in reducing the frequency of emergency department visits (OR 0.70, 95% CI 0.53 to 0.92; studies=13), and moderately effective in reducing levels of hospitalisations (standardised mean differences [SMD] 0.19, 95% CI &apos;0.35 to &apos;0.04; studies=6). A meta-analysis of three studies suggest that the intervention approach could reduce the number of days of restricted activity (SMD 0.30, 95% CI &apos;0.41 to &apos;0.18; studies=3). However, there was uncertainty as to whether school-based self-management interventions impacted on reducing absences from school. Conclusions: Self-management interventions for children with asthma delivered in schools reduce the number of acute episodes of healthcare usage. We conclude that the school environment is an important space for delivering interventions to improve children&apos;s health. © 2018 Royal Australasian College of Physicians Severe asthma leads to debilitating symptoms for patients and excessive socioeconomic burden for the community. Comprehensive models of care are required to address complex issues, risk factors and comorbidities in patients with severe asthma, and to identify patients most appropriate for specialised treatments. Dedicated severe asthma services improve asthma control, reduce asthma exacerbations and hospital admissions, and improve quality of life. Currently, diverse models of care exist for managing severe asthma across Australia. Most referrals to severe asthma services are from respiratory physicians seeking a second opinion or from primary care for poorly controlled asthma. Despite benefits of specialised severe asthma services, many patients are not referred and resources are limited, often resulting in long waiting times. Patient referral is often unstructured and there are considerable variations in the management of severe asthma with limited access to other health care professionals such as speech pathologists and dieticians, and restricted scope to optimise patient work-up before referral. Ongoing communication between the specialist and referring clinician is essential for continuity of care but is often lacking. Referral pathways can be optimised by developing referral criteria and guidelines to triage patients with severe asthma and to improve resource efficiency. Additional education and tools for assessing and managing severe asthma are needed, and mechanisms should be developed for involving primary care in the management of stabilised patients. Strategies to increase patient access to multidisciplinary services are recommended. © 2018 American Academy of Allergy, Asthma & Immunology Background: Physical inactivity and high sedentary time are associated with adverse health outcomes in several diseases. However, their impact in asthma is less clear. Objective: We aimed to synthesize the literature characterizing physical activity and sedentary time in adults with asthma, to estimate activity levels using meta-analysis, and to evaluate associations between physical activity and sedentary time and the clinical and physiological characteristics of asthma. Methods: Articles written in English and addressing the measurement of physical activity or sedentary time in adults =18 years old with asthma were identified using 4 electronic databases. Meta-analysis was used to estimate steps/day in applicable studies. Results: There were 42 studies that met the inclusion criteria. Physical activity in asthma was lower compared with controls. The pooled mean (95% confidence interval) steps/day for people with asthma was 8390 (7361, 9419). Physical activity tended to be lower in females compared with males, and in older people with asthma compared with their younger counterparts. Higher levels of physical activity were associated with better measures of lung function, disease control, health status, and health care use. Measures of sedentary time were scarce, and indicated a similar engagement in this behavior between participants with asthma and controls. High sedentary time was associated with higher health care use, and poorer lung function, asthma control, and exercise capacity. Conclusions: People with asthma engage in lower levels of physical activity compared with controls. Higher levels of physical activity may positively impact on asthma clinical outcomes. Sedentary time should be more widely assessed. © 2018 Taylor & Francis Group, LLC. Background: Asthma is often suboptimally controlled, in part due to patients&apos; disease knowledge. Understanding patients&apos; knowledge, prior to education may help in individualizing content. However, there are no well validated or internationally relevant patient asthma knowledge questionnaires available. Objective: To translate and validate the rigorously validated Questionnaire de connaissances sur l&apos;asthme destiné aux patients adultes (QCA-PA) based on key points related to asthma knowledge and self-management accordingly to the Global Initiative for Asthma report. Methods: Based on Vallerand&apos;s methodology, a preliminary version of the ¿Patient-completed Asthma Knowledge Questionnaire¿ (PAKQ) was back-translated and evaluated by an expert committee. A sample of 20 individuals with asthma pretested the questionnaire, after which 62 adults were recruited. Sociodemographic data were collected and the PAKQ together with a comparator questionnaire (Consumer Questionnaire (CQ)) were completed. Fourteen days after the first visit, participants returned to recomplete both questionnaires; half were randomly selected to receive a one-on-one asthma education session and again completed both questionnaires immediately after education, and at 10 days follow-up. Results: The PAKQ showed good internal consistency (KR-20 = 0.77). Moderate correlation with CQ (r = 0.596, p = 0.01) attested to its concurrent validity. Confirmatory factor analyses confirmed a single factor structure. A repeated measures ANOVA showed its reproducibility (n = 21:F(1)= 3.578, p = 0.07, ¿p2= 0.152) and responsiveness (n = 21:F(1)= 26.041, P < 0.05, ¿p2= 0.566). Conclusion: The PAKQ is a valid asthma knowledge questionnaire which is based on international asthma recommendations and could help healthcare professionals in individualizing educational interventions for people with asthma. © 2017 Wiley Periodicals, Inc. Sleep disturbance is one of the most common dialysis-related symptoms reported by hemodialysis patients. Poor sleep confers significant physical and psychological burden on patients with kidney disease and is associated with reduced quality of life and survival. More recent evidence also indicates that sleep-disordered breathing may be a risk factor for kidney injury. © 2016 Asian Pacific Society of Respirology Asthma is a chronic respiratory disease characterized by respiratory symptoms, airway inflammation, airway obstruction and airway hyper-responsiveness. Asthma is common and directly affects 10% of Australians, 1¿5% of adults in Asia and 300 million people worldwide. It is a heterogeneous disorder with many clinical, molecular, biological and pathophysiological phenotypes. Current management strategies successfully treat the majority of patients with asthma who have access to them. However, there is a subset of an estimated 5¿10% of patients with asthma who have severe disease and are disproportionately impacted by symptoms, exacerbations and overall illness burden. The care required for this relatively small proportion of patients is also significant and has a major impact on the healthcare system. A number of new therapies that hold promise for severe asthma are currently in clinical trials or are entering the Australian and international market. However, recognition of severe asthma in clinical practice is variable, and there is little consensus on the best models of care or how to integrate emerging and often costly therapies into current practice. In this article, we report on roundtable discussions held with severe asthma experts from around Australia, and make recommendations about approaches for better patient diagnosis and assessment. We assess current models of care for patient management and discuss how approaches may be optimized to improve patient outcomes. Finally, we propose mechanisms to assess new therapies and how to best integrate these approaches into future treatment. © 2017 The Authors. Respirology published by John Wiley & Sons Australia, Ltd on behalf of Asian Pacific Society of Respirology Background and objective: The aim of the Pulmonary Rehabilitation Guidelines (Guidelines) is to provide evidence-based recommendations for the practice of pulmonary rehabilitation (PR) specific to Australian and New Zealand healthcare contexts. Methods: The Guideline methodology adhered to the Appraisal of Guidelines for Research and Evaluation (AGREE) II criteria. Nine key questions were constructed in accordance with the PICO (Population, Intervention, Comparator, Outcome) format and reviewed by a COPD consumer group for appropriateness. Systematic reviews were undertaken for each question and recommendations made with the strength of each recommendation based on the GRADE (Gradings of Recommendations, Assessment, Development and Evaluation) criteria. The Guidelines were externally reviewed by a panel of experts. Results: The Guideline panel recommended that patients with mild-to-severe COPD should undergo PR to improve quality of life and exercise capacity and to reduce hospital admissions; that PR could be offered in hospital gyms, community centres or at home and could be provided irrespective of the availability of a structured education programme; that PR should be offered to patients with bronchiectasis, interstitial lung disease and pulmonary hypertension, with the latter in specialized centres. The Guideline panel was unable to make recommendations relating to PR programme length beyond 8 weeks, the optimal model for maintenance after PR, or the use of supplemental oxygen during exercise training. The strength of each recommendation and the quality of the evidence are presented in the summary. Conclusion: The Australian and New Zealand Pulmonary Rehabilitation Guidelines present an evaluation of the evidence for nine PICO questions, with recommendations to provide guidance for clinicians and policymakers. © 2017 Royal Australasian College of Physicians Severe asthma is a complex heterogeneous disease that is refractory to standard treatment and is complicated by multiple comorbidities and risk factors. In mild to moderate asthma, the burden of disease can be minimised by inhaled corticosteroids, bronchodilators and self-management education. In severe asthma, however, management is more complex. When patients with asthma continue to experience symptoms and exacerbations despite optimal management, severe refractory asthma (SRA) should be suspected and confirmed, and other aetiologies ruled out. Once a diagnosis of SRA is established, patients should undergo a systematic and multidimensional assessment to identify inflammatory endotypes, risk factors and comorbidities, with targeted and individualised management initiated. 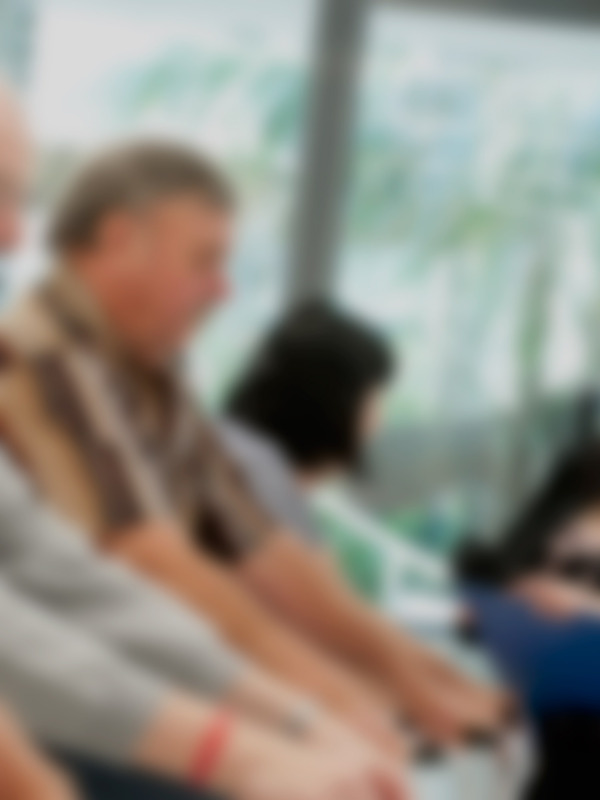 We describe a practical approach to assessment and management of patients with SRA. © 2016 American College of Chest Physicians Background Asthma and COPD are common airway diseases. Individuals with overlapping asthma and COPD experience increased health impairment and severe disease exacerbations. Efficacious treatment options are required for this population. Omalizumab (anti-IgE) therapy is effective in patients with severe persistent asthma, but limited data are available on efficacy in populations with overlapping asthma and COPD. Methods Data from the Australian Xolair Registry were used to compare treatment responses in individuals with asthma-COPD overlap with responses in patients with severe asthma alone. Participants were assessed at baseline and after 6¿months of omalizumab treatment. We used several different definitions of asthma-COPD overlap. First, we compared participants with a previous physician diagnosis of COPD to participants with no COPD diagnosis. We then made¿comparisons based on baseline lung function, comparing participants with an FEV1 <¿80%¿predicted to those with an FEV1 > 80%¿predicted after bronchodilator use. In the population with an FEV1< 80%, analysis was further stratified based on smoking history. Results Omalizumab treatment markedly improved asthma control and health-related quality of life in all populations assessed based on the Asthma Control Questionnaire and Asthma Quality of Life Questionnaire scores. Omalizumab treatment did not improve lung function (FEV1, FVC, or FEV1/FVC ratio) in populations that were enriched for asthma-COPD overlap (diagnosis of COPD or FEV1¿< 80%/ever smokers). Conclusions Our study suggests that omalizumab improves asthma control and health-related quality of life in individuals with severe allergic asthma and overlapping COPD. These findings provide real-world efficacy data for this patient population and suggest that omalizumab is useful in the management of severe asthma with COPD overlap. © 2017 AMPCo Pty Ltd. Produced with Elsevier B.V. All rights reserved. Introduction: Chronic obstructive pulmonary disease (COPD) is characterised by persistent respiratory symptoms and chronic airflow limitation, and is associated with exacerbations and comorbidities. Advances in the management of COPD are updated quarterly in the national COPD guidelines, the COPD-X plan, published by Lung Foundation Australia in conjunction with the Thoracic Society of Australia and New Zealand and available at http://copdx.org.au. Main recommendations: · Spirometry detects persistent airflow limitation (post-bronchodilator FEV1/FVC < 0.7) and must be used to confirm the diagnosis. · Non-pharmacological and pharmacological therapies should be considered as they optimise function (ie, improve symptoms and quality of life) and prevent deterioration (ie, prevent exacerbations and reduce decline). · Pulmonary rehabilitation and regular exercise are highly beneficial and should be provided to all symptomatic COPD patients. · Short- and long-acting inhaled bronchodilators and, in more severe disease, anti-inflammatory agents (inhaled cortico-steroids) should be considered in a stepwise approach. · Given the wide range of inhaler devices available, inhaler technique and adherence should be checked regularly. · Smoking cessation is essential, and influenza and pneumococcal vaccinations reduce the risk of exacerbations. · A plan of care should be developed with the multidisciplinary team. COPD action plans reduce hospitalisations and are recommended as part of COPD self-management. · Exacerbations should be managed promptly with bronchodilators, corticosteroids and antibiotics as appropriate to prevent hospital admission and delay COPD progression. · Comorbidities of COPD require identification and appropriate management. · Supportive, palliative and end-of-life care are beneficial for patients with advanced disease. · Education of patients, carers and clinicians, and a strong partnership between primary and tertiary care, facilitate evidence-based management of COPD. Changes in management as result of the guideline: Spirometry remains the gold standard for diagnosing airflow obstruction and COPD. Non-pharmacological and pharmacological treatment should be used in a stepwise fashion to control symptoms and reduce exacerbation risk. © 2017 Negewo et al. Background: COPD patients are often prescribed multiple medications for their respiratory disease and comorbidities. This can lead to complex medication regimens resulting in poor adherence, medication errors, and drug-drug interactions. The relationship between clinical outcomes and medication burden beyond medication count in COPD is largely unknown. Objectives: The aim of this study was to explore the relationships of medication burden in COPD with clinical outcomes, comorbidities, and multidimensional indices. Methods: In a cross-sectional study, COPD patients (n=222) were assessed for demographic information, comorbidities, medication use, and clinical outcomes. Complexity of medication regimens was quantified using the validated medication regimen complexity index (MRCI). Results: Participants (58.6% males) had a mean (SD) age of 69.1 (8.3) years with a postbronchodilator forced expiratory volume in 1 second % predicted of 56.5 (20.4) and a median of five comorbidities. The median (q1, q3) total MRCI score was 24 (18.5, 31). COPD-specific medication regimens were more complex than those of non-COPD medications (median MRCI: 14.5 versus 9, respectively; P<0.0001). Complex dosage formulations contributed the most to higher MRCI scores of COPD-specific medications while dosing frequency primarily drove the complexity associated with non-COPD medications. Participants in Global Initiative for Chronic Obstructive Lung Disease quadrant D had the highest median MRCI score for COPD medications (15.5) compared to those in quadrants A (13.5; P=0.0001) and B (12.5; P<0.0001). Increased complexity of COPD-specific treatments showed significant but weak correlations with lower lung function and 6-minute walk distance, higher St George¿s Respiratory Questionnaire and COPD assessment test scores, and higher number of prior year COPD exacerbations and hospitalizations. Comorbid cardiovascular, gastrointestinal, or metabolic diseases individually contributed to higher total MRCI scores and/or medication counts for all medications. Charlson Comorbidity Index and COPD-specific comorbidity test showed the highest degree of correlation with total MRCI score (¿=0.289 and ¿=0.326; P<0.0001, respectively). Conclusion: In COPD patients, complex medication regimens are associated with disease severity and specific class of comorbidities. © 2016, BMJ Publishing Group. All rights reserved. Introduction: Although pulmonary rehabilitation (PR) is associated with significant clinical benefits in chronic obstructive pulmonary disease (COPD) and has been recommended by guidelines, PR with conventional exercise training has not been widely applied in the clinic because of its inherent limitations. Alternative exercise such as Tai Chi has been investigated and the results are promising. However, the strengths and weaknesses of the exercise modality of Tai Chi, conventional PR and a combination of Tai Chi and conventional PR and the possible mechanisms underlying Tai Chi exercise remain unclear. This study aims to address the above research gaps in a well-designed clinical trial. Methods and analysis: This study is a single-blind, randomised controlled trial. Participants with stable COPD will be recruited and randomly assigned to one of four groups receiving Tai Chi exercise, conventional PR using a total body recumbent stepper (TBRS), combined Tai Chi and TBRS, or usual care (control) in a 1:1:1:1 ratio. Participants will perform 30 min of supervised exercise three times a week for 8 weeks; they will receive sequential follow-ups until 12 months after recruitment. The primary outcome will be health-related quality of life as measured by the St George&apos;s Respiratory Questionnaire. Secondary outcomes will include 6 min walking distance, pulmonary function, the modified Medical Research Council Dyspnoea Scale, the COPD Assessment Test, the Hospital Anxiety and Depression Scale, the Berg Balance Scale, exacerbation frequency during the study period, and systemic inflammatory and immune markers. Ethics and dissemination: Ethics approval has been granted by the Clinical Trial and Biomedical Ethics Committee of West China Hospital of Sichuan University (No TCM-2015-82). Written informed consent will be obtained from each participant before any procedures are performed. The study findings will be published in peer-reviewed journals and presented at national and international conferences. Trial registration number: ChiCTR-IOR-15006874; Pre-results. © 2016 Cousins et al. Oxygen is a commonly used drug in the clinical setting and like other drugs its use must be considered carefully. This is particularly true for those patients who are at risk of type II respiratory failure in whom the risk of hypercapnia is well established. In recent times, several international bodies have advocated for the prescription of oxygen therapy in an attempt to reduce this risk in vulnerable patient groups. Despite this guidance, published data have demonstrated that there has been poor uptake of these recommendations. Multiple interventions have been tested to improve concordance, and while some of these interventions show promise, the sustainability of these interventions are less convincing. In this review, we summarize data that have been published on the prevalence of oxygen prescription and the accurate and appropriate administration of this drug therapy. We also identify strategies that have shown promise in facilitating changes to oxygen prescription and delivery practice. There is a clear need to investigate the barriers, facilitators, and attitudes of clinicians in relation to the prescription of oxygen therapy in acute care. Interventions based on these findings then need to be designed and tested to facilitate the application of evidence-based guidelines to support sustained changes in practice, and ultimately improve patient care. © 2016 John Wiley & Sons Ltd Background: Omalizumab (Xolair) dosing in severe allergic asthma is based on serum IgE and bodyweight. In Australia, patients eligible for omalizumab but exceeding recommended ranges for IgE (30¿1500 IU/mL) and bodyweight (30¿150 kg) may still receive a ceiling dose of 750 mg/4 weeks. About 62% of patients receiving government-subsidized omalizumab are enrolled in the Australian Xolair Registry (AXR). Objectives: To determine whether AXR participants above the recommended dosing ranges benefit from omalizumab and to compare their response to within-range participants. Methods: Data were stratified according to dose range status (above-range or within-range). Further sub-analyses were conducted according to the reason for being above the dosing range (IgE only vs. IgE and weight). Results: Data for 179 participants were analysed. About 55 (31%) were above recommended dosing criteria; other characteristics were similar to within-range participants. Above-range participants had higher baseline IgE [812 (IQR 632, 1747) IU/mL vs. 209 (IQR 134, 306) IU/mL] and received higher doses of omalizumab [750 (IQR 650, 750) mg] compared to within-range participants [450 (IQR, 300, 600) mg]. At 6 months, improvements in Juniper 5-item Asthma Control Questionnaire (ACQ-5, 3.61 down to 2.01 for above-range, 3.47 down to 1.93 for within-range, P < 0.0001 for both) and Asthma Quality of Life Questionnaire (AQLQ mean score (3.22 up to 4.41 for above-range, 3.71 up to 4.88 for within-range, P < 0.0001) were observed in both groups. Forced expiratory volume in one second (FEV1) improved among above-range participants. There was no difference in response between above-range and within-range participants. Above-range participants due to either IgE alone or IgE and weight had similar improvements in ACQ-5, AQLQ and FEV1. Conclusions and Clinical Relevance: Patients with severe allergic asthma above recommended dosing criteria for omalizumab have significantly improved symptom control, quality of life and lung function to a similar degree to within-range participants, achieved without dose escalation above 750 mg.
© 2016 Asian Pacific Society of Respirology Background and objective: Obesity is an established risk factor for poor health outcomes, but paradoxically in chronic obstructive pulmonary disease (COPD), it is associated with improved survival and lung function. A major evidence gap exisits to inform treatment recommendations for patients with COPD who are obese. We aimed to determine the effect of weight reduction involving a low-energy diet utilizing a partial meal replacement plan, coupled with resistance exercise training in obese COPD patients. Methods: In a proof of concept before¿after clinical trial, obese (body mass index =30 kg/m2) COPD patients received a 12 week weight reduction programme involving meal replacements, dietary counselling by a dietitian and resistance exercise training prescribed and supervised by a physiotherapist. Patients were reviewed face to face by the dietitian and physiotherapist every 2 weeks for counselling. Results: Twenty-eight participants completed the intervention. Mean (standard deviation) body mass index was 36.3 kg/m2 (4.6) at baseline and reduced by 2.4 kg/m2 ((1.1) P < 0.0001) after the intervention. Importantly, skeletal muscle mass was maintained. Clinical outcomes improved with weight loss including exercise capacity, health status, dyspnea, strength and functional outcomes. There was also a significant reduction in the body mass index, obstruction, dyspnea and exercise score (BODE). Systemic inflammation measured by C-reactive protein however did not change. Conclusion: In obese COPD patients, dietary energy restriction coupled with resistance exercise training results in clinically significant improvements in body mass index, exercise tolerance and health status, whilst preserving skeletal muscle mass. This novel study provides a framework for development of guidelines for the management of obese COPD patients and in guiding future research. © 2015 The Cochrane Collaboration. This is the protocol for a review and there is no abstract. The objectives are as follows: This review has two primary objectives. To assess the effects of school-based interventions for improvement of asthma self management on children&apos;s outcomes. To identify the processes and methods that are aligned with effective and non-effective interventions. Background: The overlap between asthma and COPD is increasingly recognised. This review examines the new insights, treatment and remaining knowledge gaps for asthma-COPD overlap. Method: A systematic literature review of cluster analyses of asthma and COPD was performed. Articles from 2009 to the present dealing with prevalence, morbidity and treatment of asthma-COPD overlap were identified and reviewed. Results: Asthma-COPD overlap was consistently recognised in studies using a variety of different study designs and sampling. The prevalence was approximately 20% in patients with obstructive airways diseases. Asthma-COPD overlap was associated with increased morbidity and possibly an increased mortality and comorbidity. There was evidence of a heterogeneous pattern of airway inflammation that included eosinophilic (in adult asthma), neutrophilic or mixed patterns (in severe asthma and COPD). Systemic inflammation was present in asthma-COPD overlap and resembled that of COPD. Within asthma-COPD overlap, there is evidence of different subgroups, and recognition using bronchodilator responsiveness has not been successful. Guidelines generally recommend a serial approach to assessment, with treatment recommendations dominated by an asthma paradigm. Research is needed into key clinical features that impact outcome, mechanisms and treatment approaches in asthma-COPD overlap. Identifying and treating disease components by multidimensional assessment shows promise. Conclusions: Asthma-COPD overlap has drawn attention to the significant heterogeneity that exists within obstructive airway diseases. It should be replaced by novel approaches that identify and manage the components of this heterogeneity, such as multidimensional assessment and treatment. Future research is needed to test these novel and personalised approaches. © 2014 The Cochrane Collaboration. This is the protocol for a review and there is no abstract. The objectives are as follows: To assess the effect of asthma self-management education interventions delivered in mainstream school settings on asthma morbidity. © 2014 Abramson et al. Adult-onset asthma and chronic obstructive pulmonary disease (COPD) are major public health burdens. This review presents a comprehensive synopsis of their epidemiology, pathophysiology, and clinical presentations; describes how they can be distinguished; and considers both established and proposed new approaches to their management. Both adult-onset asthma and COPD are complex diseases arising from gene¿environment interactions. Early life exposures such as childhood infections, smoke, obesity, and allergy influence adult-onset asthma. While the established environmental risk factors for COPD are adult tobacco and biomass smoke, there is emerging evidence that some childhood exposures such as maternal smoking and infections may cause COPD. Asthma has been characterized predominantly by Type 2 helper T cell (Th2) cytokine-mediated eosinophilic airway inflammation associated with airway hyperresponsiveness. In established COPD, the inflammatory cell infiltrate in small airways comprises predominantly neutrophils and cytotoxic T cells (CD8 positive lymphocytes). Parenchymal destruction (emphysema) in COPD is associated with loss of lung tissue elasticity, and small airways collapse during exhalation. The precise definition of chronic airflow limitation is affected by age; a fixed cut-off of forced expiratory volume in 1 second/forced vital capacity leads to overdiagnosis of COPD in the elderly. Traditional approaches to distinguishing between asthma and COPD have highlighted age of onset, variability of symptoms, reversibility of airflow limitation, and atopy. Each of these is associated with error due to overlap and convergence of clinical characteristics. The management of chronic stable asthma and COPD is similarly convergent. New approaches to the management of obstructive airway diseases in adults have been proposed based on inflammometry and also multidimensional assessment, which focuses on the four domains of the airways, comorbidity, self-management, and risk factors. Short-acting beta-agonists provide effective symptom relief in airway diseases. Inhalers combining a long-acting beta-agonist and corticosteroid are now widely used for both asthma and COPD. Written action plans are a cornerstone of asthma management although evidence for self-management in COPD is less compelling. The current management of chronic asthma in adults is based on achieving and maintaining control through step-up and step-down approaches, but further trials of back-titration in COPD are required before a similar approach can be endorsed. Long-acting inhaled anticholinergic medications are particularly useful in COPD. 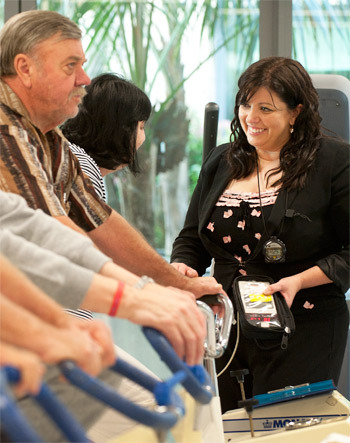 Other distinctive features of management include pulmonary rehabilitation, home oxygen, and end of life care. Background: The progression of obstructive airway diseases (OADs) including asthma, chronic obstructive pulmonary disease (COPD) and asthma-COPD overlap syndrome in older adults is not well understood. Objective: To examine the prognosis of OADs and to identify potential determinants for longitudinal changes in clinical outcomes. Methods: We consecutively recruited 99 older adults (>55 years) with OADs who underwent a multidimensional assessment at baseline and 4 years which involved spirometry, 6-min walk distance (6MWD), assessments of health status (Saint George&apos;s Respiratory Questionnaire, SGRQ), comorbidity, and serum and sputum biomarkers. All-cause mortality and respiratory hospitalisation during the follow-up period were recorded. Clinical outcomes were compared between basal and final visits, and changes in clinical outcomes were compared among asthma, COPD and asthma-COPD overlap groups. Associations between clinical parameters, biomarkers and prognosis were examined. Results: After a median follow-up of 4.2 years, outcome data were available for 75 (75.8%) patients. There were 16 (16.2%) deaths. The BODE index predicted all-cause mortality in older people with OADs. While spirometry, 6MWD and SGRQ deteriorated significantly over the 4 years, there was significant heterogeneity in the longitudinal changes in these clinical outcomes. Participants with COPD had a significant decline in FEV1 (p = 0.003), SGRQ (p = 0.030) and 6MWD [decline of 75.5 (93.4) m, p = 0.024]. The change in 6MWD was lower in the asthma-COPD overlap group. Airflow reversibility was associated with a reduced decline in 6MWD. Conclusion: COPD patients had a poor prognosis compared with asthma and asthma-COPD overlap patients. The BODE index is a useful prognostic indicator in older adults with OADs. Both airway disease diagnosis and BODE index warrant specific attention in clinical practice. © 2013 S. Karger AG, Basel. Purpose: The role of systemic inflammation on asthma-COPD overlap syndrome is unknown. This study aimed to examine systemic inflammation in asthma-COPD overlap syndrome, and to identify associations between clinical characteristics and inflammatory mediators in asthma-COPD overlap syndrome. Methods: In 108 adults older than 55 years comprising healthy controls (n=29), asthma (n=16), COPD (n=21) and asthma-COPD overlap syndrome (n=42), serum high sensitivity C-reactive protein and Interleukin 6 (IL-6) were assayed. Spirometry, induced sputum, quality of life, comorbidities and medications were assessed, and their associations with asthma-COPD overlap syndrome were analyzed using logistic regression. Associations between systemic inflammatory mediators and clinical characteristics were tested in multivariate linear regression models. Results: Patients with asthma-COPD overlap syndrome had significantly elevated IL-6 levels compared with healthy controls and asthmatics. Age, comorbidity index and IL-6 level were independently associated with asthma-COPD overlap syndrome. FEV1% predicted was inversely associated with IL-6 level, and cardiovascular disease was associated with an increased IL-6 level. Systemic markers were not associated with airway inflammation. Conclusions: Systemic inflammation is commonly present in asthma-COPD overlap syndrome, and asthma-COPD overlap syndrome resembled COPD in terms of systemic inflammation. IL-6 is a pivotal inflammatory mediator that may be involved in airflow obstruction and cardiovascular disease and may be an independent treatment target. © Copyright The Korean Academy of Asthma, Allergy and Clinical Immunology. © 2015 The Japanese Respiratory Society. Patients with chronic obstructive pulmonary diseases (COPD) often experience comorbid conditions. The most common comorbidities that have been associated with COPD include cardiovascular diseases, lung cancer, metabolic disorder, osteoporosis, anxiety and depression, skeletal muscle dysfunction, cachexia, gastrointestinal diseases, and other respiratory conditions. Not only are comorbidities common but they also considerably influence disease prognosis and patients&apos; health status, and are associated with poor clinical outcomes. However, perusal of literature indicates that little has been done so far to effectively assess, manage, and treat comorbidities in patients with COPD. The aim of this review is to comprehensively narrate the comorbid conditions that often coexist with COPD, along with their reported prevalence and their significant impacts in the disease management of COPD. A perspective on integrated disease management approaches for COPD is also discussed. Objectives: Outcome assessment is an important part of the management of airways disease, yet older adults may have difficulty with the burden of testing. This study evaluated the patient perception of tests used for the assessment of airways disease in older people. Data Source: Older adults (>55 years) with obstructive airway disease and healthy controls (N=56) underwent inhaler technique assessment, skin allergy testing, venepuncture, fractional exhaled nitric oxide (FENO) and gas diffusion measurement, exercise testing, sputum induction, and questionnaire assessment. They then completed an assessment burden questionnaire across five domains: difficulty, discomfort, pain, symptoms and test duration. Results: Test perception was generally favourable. Induced sputum had the greatest test burden perceived as being more difficult (mean 0.83, P=0.001), associated with more discomfort (mean 1.3, P<0.001), more painful (0.46, P=0.019), longer test duration (0.84, P<0.001) and worsening symptoms (0.55, P=0.001) than the questionnaires. FENO had a more favourable assessment but was assessed to be difficult to perform. Inhaler technique received the most favourable assessment. Conclusions: Older adults hold favourable perceptions to a range of tests that they might encounter in the course of their care for airway disease. The newer tests of sputum induction and FENO have some observed difficulties, in particular sputum induction. The results of this study can inform current practice by including details of the test and its associated adverse effects when conducting the test, as well as providing clear explanations of the utility of tests and how the results might aid in patient care. © 2013 John Wiley & Sons Ltd.
Background: COPD and asthma in older people are complex conditions associated with multiple clinical problems. The relative importance of these problems to both patients and physicians and the level of agreement between them is largely unknown. Methods: Older people with asthma and COPD underwent a multidimensional assessment to characterise the prevalence of clinical problems. Each individual&apos;s problems were then summarised and presented separately to the patient and physician to rate problem importance. Problems were scored using a 5-point Likert scale from unimportant to very important. Results: The highest-rated problems were dyspnoea, activity limitation and airway inflammation, and these areas had good patientphysician concordance. Poor concordance was found for inhaler technique adequacy, airflow obstruction and obesity. Good concordance was found for written action plans, but this was less important to both patients and physicians. Conclusions: In asthma and COPD, patients and their physicians agree about the importance of managing activity limitation, dyspnoea, and airway inflammation. Other areas of management had little concordance or were viewed as less important. Self-management skills were not rated as important by patients and this may hinder successful management. Eliciting problems and addressing their importance to treatment goals may improve care in COPD and asthma. © 2011 Primary Care Respiratory Society UK. All rights reserved. BACKGROUND: The lung disease in cystic fibrosis is characterised by impaired mucociliary clearance. Hypertonic saline (HS) has been shown to enhance mucociliary clearance in-vitro and this may act to lessen the destructive inflammatory process in the airways. OBJECTIVES: To investigate the effects of treatment with nebulised hypertonic saline on people with CF compared to placebo and or other treatments that enhance mucociliary clearance. SEARCH STRATEGY: &apos;We searched the Cochrane Cystic Fibrosis and Genetic Disorders Group trials register which comprises references identified from comprehensive electronic database searches, handsearching relevant journals and handsearching abstract books of conference proceedings. Date of the most recent search of the Group&apos;s register: October 2001. SELECTION CRITERIA: All controlled trials (any language) assessing the effect of hypertonic saline compared to placebo or other mucolytic therapy, for any duration or dose regimen in people with cystic fibrosis of any age or severity. DATA COLLECTION AND ANALYSIS: All identified trials were independently reviewed by both reviewers & all data collected. Trial quality was assessed along with allocation concealment. MAIN RESULTS: Fourteen controlled trials were identified. Nine trials met the inclusion criteria; these involved 235 participants with an age range of 6 to 46 years. Two short-term trials of immediate effect on mucociliary clearance demonstrated that HS increased isotope clearance compared to control. Lung function as measured by improvement in Forced Expiratory Volume at one second (FEV1 l/min) was observed in four trials. When 3% to 7% saline was used in a volume of 10mls twice a day, in comparison to placebo, HS led to a significant increase in FEV1, WMD 12.20 (95%CI 4.30 to 20.10). In comparison to deoxyribonuclease (DNase) two trials used a similar concentration and volume of HS. Over a three week period the groups showed a similar increase in FEV1, WMD -1.60 (95%CI -11.16 to 7.96). However after 12 weeks treatment in participants with moderate to severe lung disease compared to DNase, HS 5mls twice a day showed less benefit to FEV1, WMD -13.00 (95%CI -22.46 to -3.54). No serious adverse events were noted. REVIEWER&apos;S CONCLUSIONS: Nebulised hypertonic saline improves mucociliary clearance in short term clinical trials and appears to increase lung function compared to control. In comparison to DNase it may be less effective at improving lung function, after three months. At this stage there is insufficient evidence to support the use of hypertonic saline as routine treatment for people with cystic fibrosis. BACKGROUND: The lung disease in cystic fibrosis is characterised by impaired mucociliary clearance, recurrent bronchial infection and airway inflammation. Hypertonic saline has been shown to enhance mucociliary clearance in-vitro and this may act to lessen the destructive inflammatory process in the airways. OBJECTIVES: To determine if nebulised hypertonic saline treatment improved lung function, exercise tolerance, quality of life and decreased the incidence of exacerbations of respiratory infections in patients with cystic fibrosis. SEARCH STRATEGY: Studies were identified from the Cochrane Cystic Fibrosis and Genetic Disorders Group trials register. Titles and abstracts were reviewed to identify all controlled trials. Review articles and bibliographies identified from this process were surveyed for additional citations & RCTs. Identification of unpublished work was obtained from abstract books from the three major Cystic Fibrosis conferences (International Cystic Fibrosis Conference, The European Cystic Fibrosis Conference and the North American Cystic Fibrosis Conference). Trial authors were contacted for additional information when only abstracts were available to review. Date of the most recent search of the Group&apos;s specialised register: November 1999. SELECTION CRITERIA: All controlled trials that assessed the effect of hypertonic saline compared to placebo or other mucolytic therapy, for any duration or dose regimen in subjects with cystic fibrosis of any age or severity were reviewed. Studies in languages other than English were included. DATA COLLECTION AND ANALYSIS: All identified trials were independently reviewed by both reviewers & all data collected. Trial quality was scored by the Cochrane assessment of allocation concealment & the Jadad scale of methodological quality. MAIN RESULTS: Twelve controlled trials of hypertonic saline were identified. Seven trials met the inclusion criteria; these involved 143 subjects with an age range of 6 to 46 years. Of these, six were published studies and one in abstract form. The durations of the trials were limited to immediate effects on mucociliary clearance to a maximum of three weeks. In two studies, involving thirty five subjects, a score for the feeling of cleared chest was made using visual analogue scales. This analysis showed a weighted mean difference of -0.98 (95% confidence Interval -1.6, -0.34), favouring hypertonic saline over isotonic saline. In two trials with 22 subjects hypertonic saline improved mucociliary clearance as measured by isotope clearance from the lungs in 90 minutes demonstrating a weighted mean difference of -11.3 (95% confidence Interval -18.6, -4.0), and as area under the clearance time curve; weighted mean difference of -212 (95%CI -272, -152), also favouring hypertonic saline over isotonic saline. Lung function as measured by improvement in FEV1 was observed in one study of 27 subjects. The percentage increase in FEV1 at two weeks increased by a mean 15.0% with hypertonic saline and 2.8% with isotonic saline (p=0.004). Adverse events were adequately described in only one trial and none were serious. REVIEWER&apos;S CONCLUSIONS: Nebulised hypertonic saline improves mucociliary clearance immediately after administration which may have a longer term beneficial effect in cystic fibrosis. The maximum time data were recorded for was only three weeks. Most of the patients had mild to moderate lung disease and the effect on severe lung disease remains unclear. Further studies of hypertonic saline should be carried out to determine the effect on pulmonary function tests, quality of life, frequency of exacerbations of respiratory disease and efficacy comparisons with nebulised deoxyribonuclease, with larger numbers and for longer duration. At this stage there is insufficient evidence to support the use of hypertonic saline in routine treatment for patients with cystic fibrosis. The aim of the study was to examine the characteristics of asthma education programs within NSW. 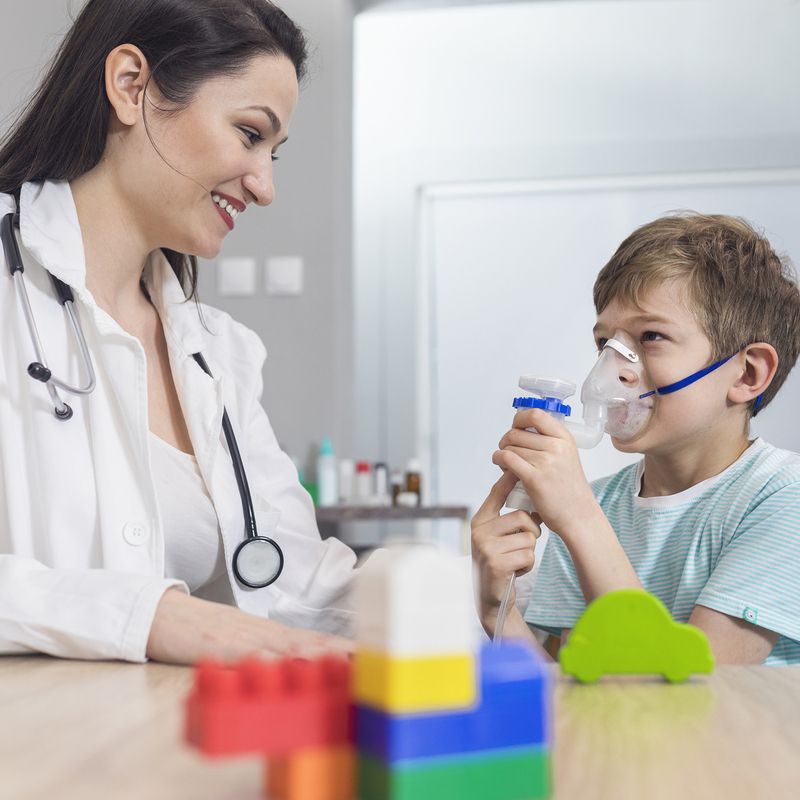 A cross-sectional questionnaire survey concerning the aims and characteristics of 42 asthma education programs was administered to members of the Asthma Educators Association (AEA) of NSW. While most programs sought to improve asthma knowledge (78%), only a small number sought to improve asthma management skills (38%), asthma control (33%) and attitudes (10%). Most programs performed one-to-one (69%) education. Medical intervention was under-utilized by most programs and only 4% gave feedback to the referring doctor. Program evaluation was incompletely linked to program aims. There was incomplete evaluation of knowledge gain as an outcome. The study reviewed the characteristics of education programs within NSW. Existing programs appropriately employ a variety of educational methods and target a broad range of people with asthma. There remains a need to use a combined approach utilizing education and medical management, and to employ methods to evaluate programs. Thick tenacious secretions that are difficult to expectorate and recurrent infection that leads to progressive end stage fibrotic disease typify lung disease in cystic fibrosis (CF). Mucolytic treatment can improve expectoration of sputum and lung function in CF. Our aim was to examine the efficacy of hypertonic saline (HS) in CF as an alternative or supplementary treatment. Methods: A meta-analysis of controlled trials was done. A search was carried out via the Cochrane Cystic Fibrosis Group specialist trials register. The titles and abstracts were reviewed to identify all potential controlled trials, articles were surveyed for additional citations. Identification of unpublished work was obtained from abstract books from (The International CF Conference, The European CF Conference and the North American CF Conference). All controlled trials that assessed the efficacy of Hypertonic Saline in subjects with cystic fibrosis were reviewed. The reviewers independently reviewed all trials. Data was analysed and compared using Revman. Results: A total of ten controlled trials were identified. Adequate data was available for analysis from seven of the studies, n = 166, age range (7-36years). Two studies showed that hypertonic saline (HS) improved lung function at two weeks by increasing the percentage change in FEV1. This showed a weighted mean difference (WMD) of +12.2 (95%CI +13.860, +10.540), favouring HS over isotonic saline (IS). An immediate effect on mucociliary clearance as measured by radioisotope was assessed in two trials. Analysis of isotope clearance at 90 mins found a WMD of +11.28 (95%CI +18.562, +3.998), favouring HS over IS. Measuring clearance as area under the curve showed a WMD of +212.059 (95%CI +271.641, +152.477), favouring HS over IS. Nebulised hypertonic saline appears to have a beneficial effect in cystic fibrosis, improving muco-ciliary clearance immediately after administration and lung function after two weeks of administration in combination with chest physiotherapy. Comparative data was not available to assess outcomes such as improvement in objective exercise testing, effect on symptom scores, quality of life measures or long term efficacy. Many patients with asthma use two or more drag classes. Poor inhalation technique limits drag efficacy. There has been an increase in the number and type of drug delivery systems available. This may accentuate the problems with poor inhalation technique and negate the advantage of drag delivery by inhalation. AIMS: The aims of this study are to describe the number of different devices used by patients with asthma, the adequacy of inhalation technique for each device and the effect of a structured education programme on technique and device selection. DESIGN: A cross sectional analytic survey. METHODS: Data was collected from patients attending the Asthma Management Service (AMS) between 1/1/00 and 30/9/00. Inhaler technique was assessed by an asthma educator and rated as adequate or inadequate. The number of devices used by each patient was analysed together with their proficiency of use. RESULTS: 123 patients were referred to the AMS and 112 (91%) attended an initial assessment. 54% were female and 25% were smokers. The age range was 17-79 years. 56% were on doses of ICS greater than 800mcgs/day. 74% of patients were using multiple devices. The patients were using an average of 1.9 different inhalation devices. Inadequate inhaler technique was present in 23% of pMDI users, 6% of spacer users, 29% of turbuhaler users, and 0% of Accuhaler users. Of those using multiple devices 26% were rated as inadequate with at least one of their devices. CONCLUSION: Inhaler polypharmacy exists as a unique problem among people with airways disease, and could lead to limited drag efficacy in a significant proportion of patients. There is a role for asthma education in the identification and management of this problem. :. Severe and poorly controlled asthma may lead to adverse outcomes for mothers and their babies. 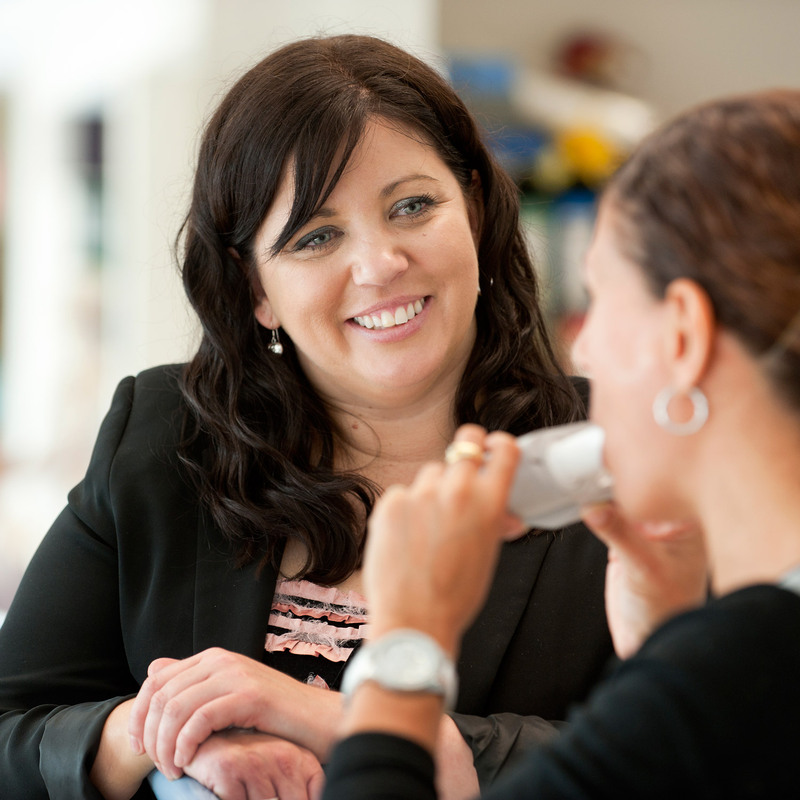 An asthma management and education programme was established in the Antenatal Clinic (ANC) of John Hunter Hospital to optimise asthma management in pregnant women with asthma. Aim: The aim of this study was to evaluate the effect of the Asthma Management Service in the John Hunter Hospital ANC. Design: Longitudinal analytic survey. Method: Women were enrolled in their first trimester and underwent an initial assessment of asthma severity, treatment and management skills. Deficits were corrected by skills education, medical assessment and treatment. Records were reviewed of pregnant women with asthma who attended the Asthma Management Service between January 1998 and December 1999. Results: 83 women were enrolled and 72 patients attended between 2 and 8 visits during pregnancy, depending upon asthma severity. Conclusion: After structured asthma education, there were significant improvements in asthma knowledge and management skills. The antenatal clinic is a opportune setting for asthma education among pregnant women with asthma. Asthma Control Visit 1 After Education p Value Night Symptoms 53% 42% 0.15 Morning Symptoms 66% 46% 0.01 Activity Limitation 35% 30% 0.65 Asthma Skills pMDI: Inadequate 13% 0% 0.001 Spacer: Inadequate 2% 0% 0.50 Medication Knowledge 47% 88% 0.0001 Action Plan 13% 78% 0.0001 Peak Flow Monitoring 8% 78% 0.0001. A new clinical ‘toolkit’ designed to improve the management of severe asthma has been launched at the Thoracic Society of Australia and New Zealand’s Annual Scientific Meeting in Adelaide. The University of Newcastle celebrates the achievements of staff with the VC's Award Ceremony. Free lung testing on Wednesday 19 November to raise awareness of deadly Chronic Obstructive Pulmonary Disease.